Joyce Fienberg, one of the 11 victims of the Tree of Life shooting, was an active and invaluable member of the Carnegie Mellon community for almost four decades. Stephen Fienberg, her husband of almost 50 years, was a celebrated professor of Statistics and Social Science at Carnegie Mellon who passed away in December of 2016. 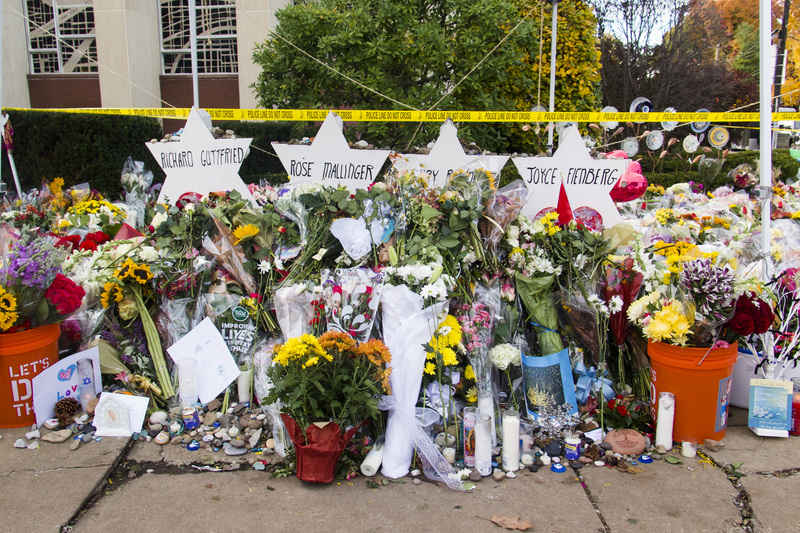 Students and faculty alike were shocked and shaken that the deadliest anti-Semitic attack in the history of America happened just one mile from campus, but the Carnegie Mellon community was directly impacted by the loss of Joyce Fienberg. In the wake of this heinous act of hate, we must remember the life that she led. Joyce knew everyone in the Statistics department. She and Stephen treated his graduate students like their own children. The Fienbergs stayed in touch with his students after they graduated and moved on, routinely flying all over the country for weddings and sending gifts at the births of former students’ children. Larry Wasserman, who still teaches statistics at Carnegie Mellon, recalls that when he was hired, Joyce and Stephen took him out for dinner and gave him a tour of Pittsburgh on one of his first nights in the city. The Fienbergs also often welcomed guest lecturers and visiting professors into their home as guests. Joyce Fienberg, 75, was a retired researcher at the University of Pittsburgh’s Learning Research and Development Center. Her friends and family say she always had a smile on her face. She attended morning services at the Tree of Life Synagogue every day since her husband’s death, and on Saturday, Oct. 27, arrived early for Shabbat services. Joyce Fieinberg was among the 11 lives lost when a gunman entered the building and opened fire. Her funeral was held on Wednesday, Oct. 31, at Congregation Beth Shalom, a conservative synagogue located just a couple blocks up Shady Avenue from Tree of Life. She was buried in the Tree of Life Memorial Park, which is located in the North Hills. She is survived by her two sons, Howard and Anthony, as well as six grandchildren and a large community of extended family, for whom she was an emotional and logistical center. Joyce is remembered as a nurturer. In her son Howard’s eulogy, he praised her commitment to others. “Mom spent an inordinate amount of time worrying about other people’s needs, not hers,” he said. Joyce’s nurturing qualities came through in her extensive volunteer work. She actively volunteered at the Tree of Life Synagogue. She was always ready to pick up and drive any elderly person who was unable to travel to synagogue on their own, and often opened the synagogue in the morning to prepare food for congregants. She also volunteered a couple times a week at the District Courthouse Children’s Room in downtown Pittsburgh. The National Council for Jewish Women, which Joyce was an active member of, established the Children’s Room to take care of children while their parents were in front of the judge or involved in a trial. Joyce took great pride in not just passing time with them, but helping the younger children to learn numbers and letters by reading to them. Joyce also regularly volunteered with the Family House, a nonprofit that housed the families of patients in extended care at UPMC and Highmark, who had to stay in Pittsburgh for spans of time too long for a hotel stay. She helped keep families together through hard times by providing meals and transportation. Joyce and Stephen were married for nearly 50 years. They met as undergraduate students at the University of Toronto, and moved to Pittsburgh in 1980 when he was hired by Carnegie Mellon. Stephen believed in the use of statistics for the greater good and was renowned for his use of statistics in public policy and science. He testified before congress “10-20 times,” according to his friend Wasserman, most notably decrying the unreliability of polygraph tests. In the two years since Stephen passed away from liver cancer in Dec. 2016, Joyce attended every Carnegie Mellon event that Stephen would have wanted to go to. On Friday Oct. 26, the day before she died, Mrs. Fienberg was on campus for President Farnam Jahanian’s inauguration. Jahanian spoke during the Carnegie Mellon vigil of how they reminisced that day about dinners they had with her late husband. Joyce adored her family. Every summer, her grandchildren would come to Pittsburgh from Paris, where her son Anthony lives, and stay with her while they attended the Jewish Community Center’s day camps. When they were old enough for sleep away camp at the JCC’s Emma Kaufmann Camp, Joyce worked to prepare them and get them all packed for the week long adventure. She flew back to Toronto every three weeks to visit her mother, who lived to be 98, and her mother in law, who lived to be 90. When she wasn’t in Toronto, Joyce made sure to call them every day, just to see how they were doing. Suzanne Paul is Jacob Paul’s grandmother.